Chuck Missler was unable to attend our Rocky Mountain International Prophecy Conference but recorded this presentation to play at the incredible summit just concluded. FREE! 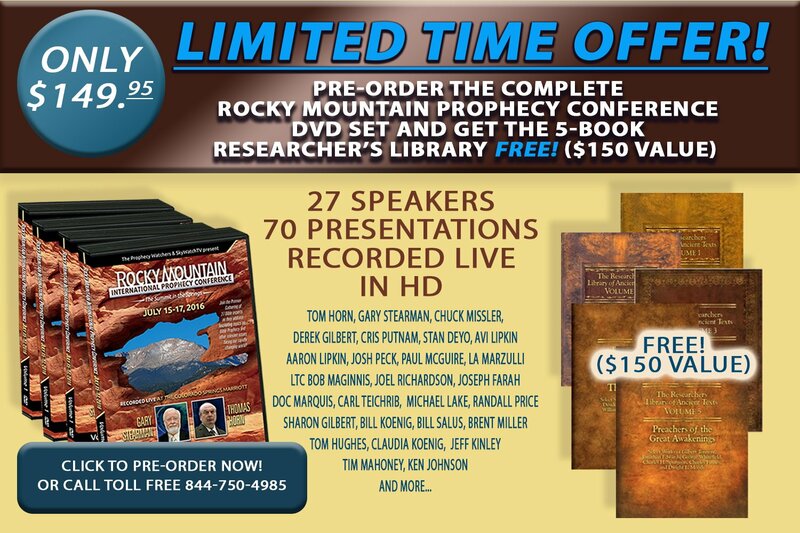 GET THE HUGE 5-VOLUME “RESEARCHERS LIBRARY OF ANCIENT TEXTS” ($150.00 VALUE) TO KEEP OR GIVE AS A GIFT WHEN YOU PRE-ORDER THE COMPLETE ROCKY MOUNTAIN PROPHECY CONFERENCE DVD SET! Justen and Wes Faull are welcomed to SkyWatch TV.